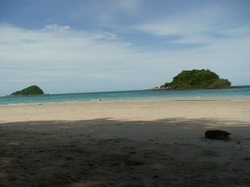 Our new blog about Ban Chang, Rayong, Koh Samed, Koh Chang, the Eastcoast of Thailand. A new location for adult nightlife entertainment started in Ban Chang - Rayong, Thailand. <Follow Tommys Restaurant, Ban Chang's board Italian Red Wine on Pinterest. Follow Tommys Restaurant, Ban Chang's board German Castles on Pinterest. Follow Tommys Restaurant, Ban Chang's board Whiskey on Pinterest. Follow Tommys Restaurant, Ban Chang's board Food on Pinterest.